They have culled beautiful & unique pieces that would give any home character. Mixing modern and classic styles together, their collection has a fresh point of view with sculptural furniture (both new & antique), original textiles via the Clay McLaurin Studio, and a range of accessories that tie it all together. Here are some of my absolute favorites along with a peek at their own house. Which pieces do YOU like the best?? Palms Silver fabric - I hadn’t seen this one before. It’s so versatile both style & color-wise….could go with blues, neutrals, grays, and any kind of wood. Very tempting! Here’s a peek at the Tiliniski’s home office. 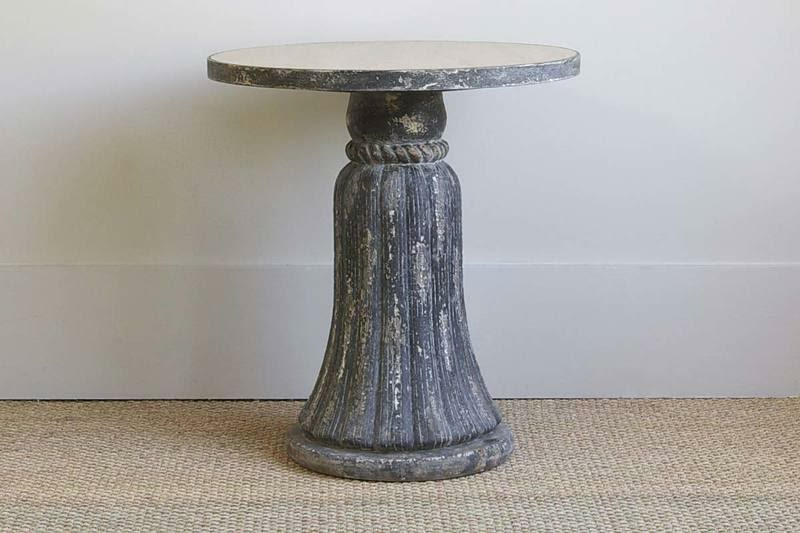 I love how the balance new and antique pieces, with masculine and feminine styles….it just works! 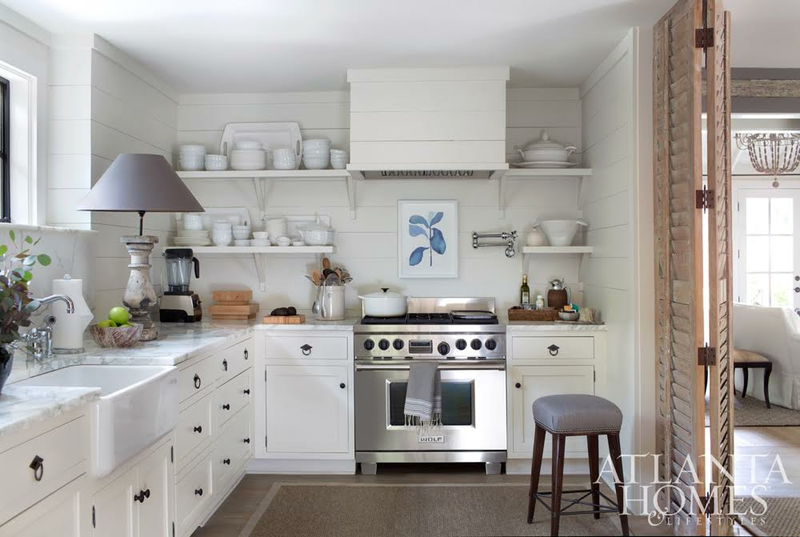 Photo courtesy of Atlanta Homes & Lifestyles magazine. I’m dying over their kitchen, below. Between the vintage lamp, the sweet print above the stove, the rustic louver doors, unique hardware…it just has a great vibe that I haven’t seen elsewhere. Feather Sand fabric — its kind of quiet but adds so much personality. Ok, how charming is this little French bookcase, circa 1920s? Can’t you just see it in a guest bedroom corner with a cachepot on top?? Last but not least is their Luc Slipper Chair It only needs 6 yards of fabric, and you can use any kind you want - yours or theirs, so go crazy! It would definitely be a rich accent piece in any room & looks incredibly comfy…. For more info, go to BungalowClassic.com — or take a field trip to Atlanta!